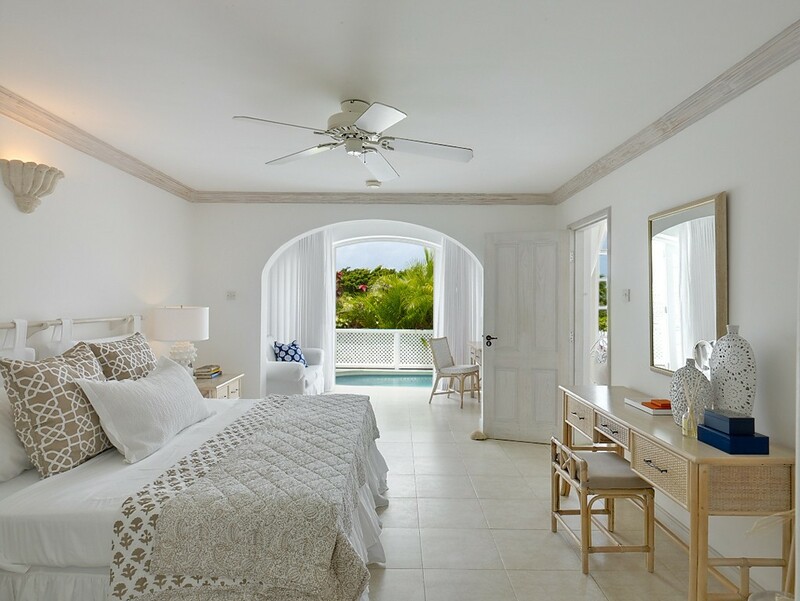 Cassia Heights 24 Barbados. 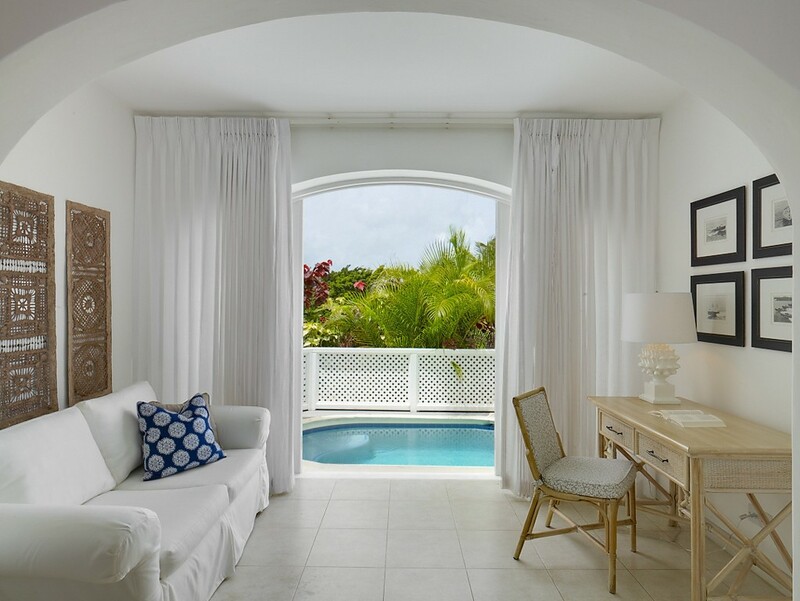 Tucked into one of the nicest parts of the Royal Westmoreland resort, Cassia Heights 24 has amenities that many of its neighboring villas does not. 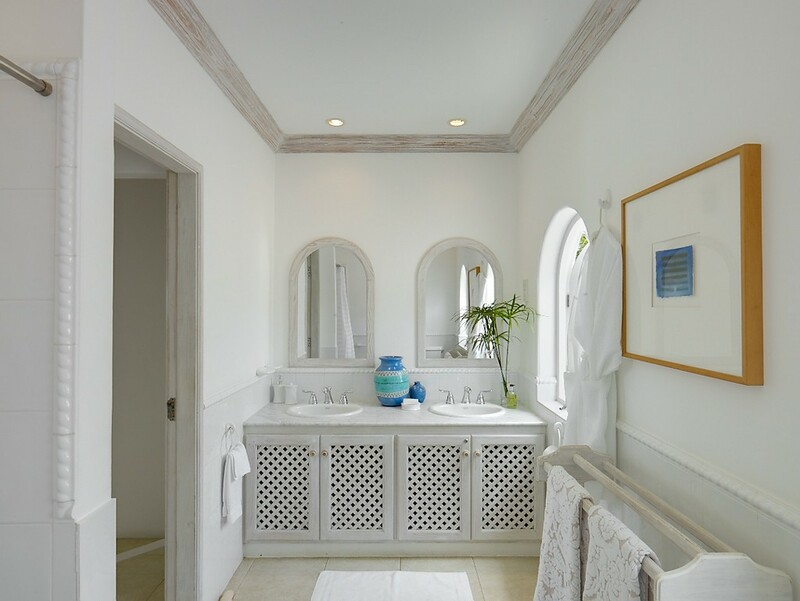 A visit provides guests with access to all of the resort's amenities. 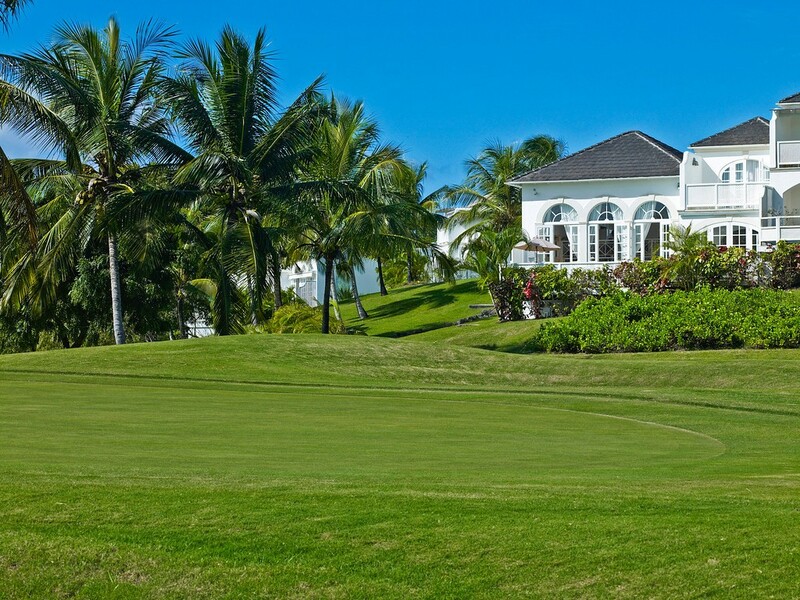 This includes over four hundred acres of premium golfing, world-class tennis facilities, a high quality spa, modern fitness center, two beautiful pool terraces, a bistro, a rum shack, Mullins Beach Membership and more. 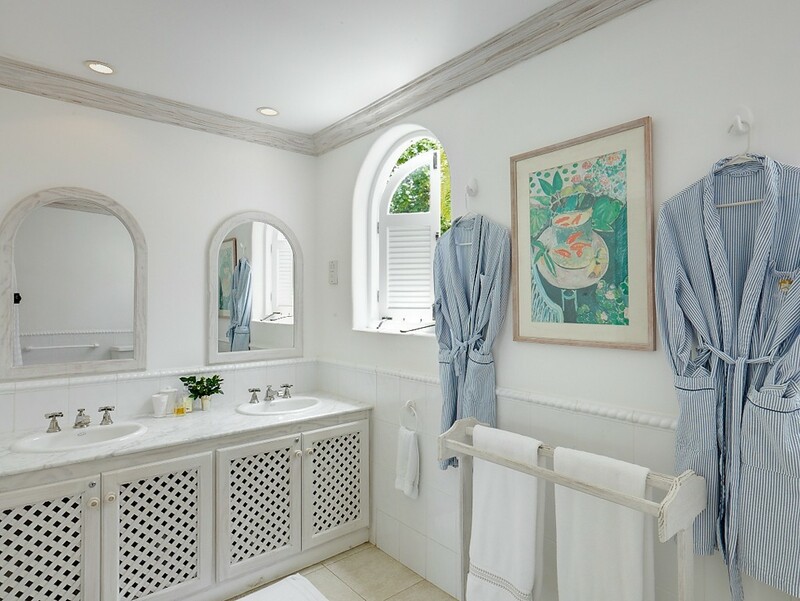 With so much to offer, the setting alone makes it a wonderful choice for up to six discerning visitors. 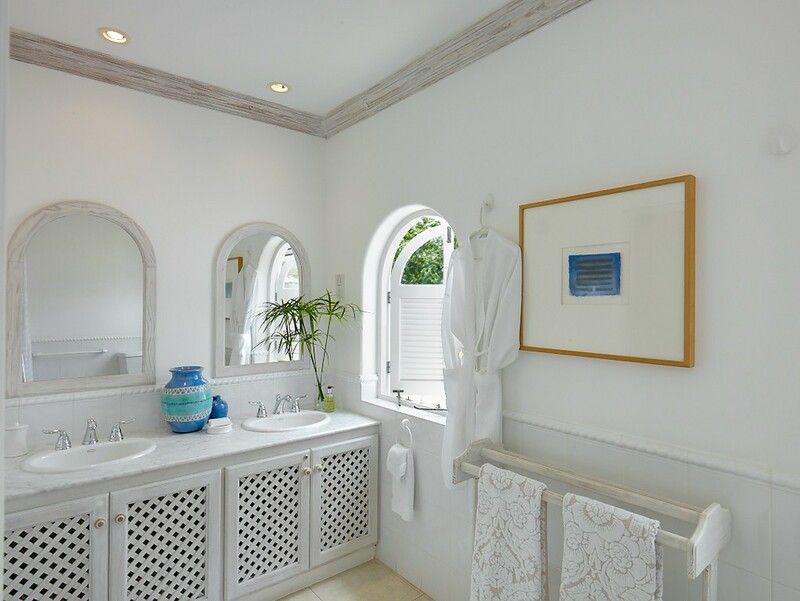 However, as stated, this villa has been upgraded and features its own, private plunge pool on the large and airy terrace. 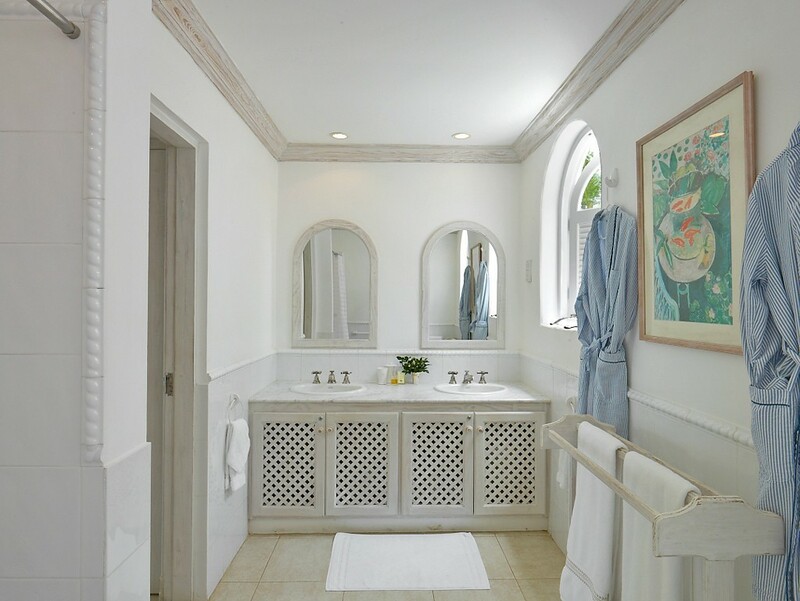 From you’re the small sitting room, you can step through the gorgeous arch and into your private pool. 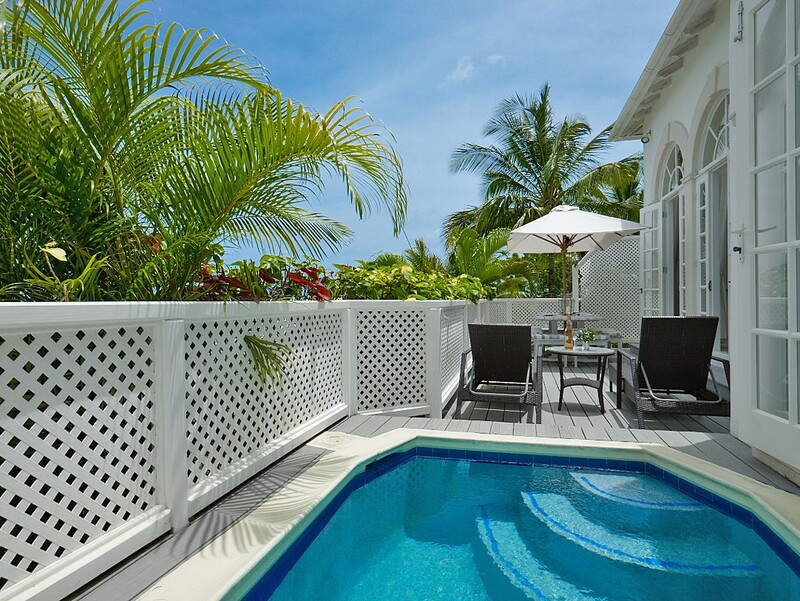 Strolling along the remainder of the terrace you find sun beds, an al fresco dining spot and a barbecue. 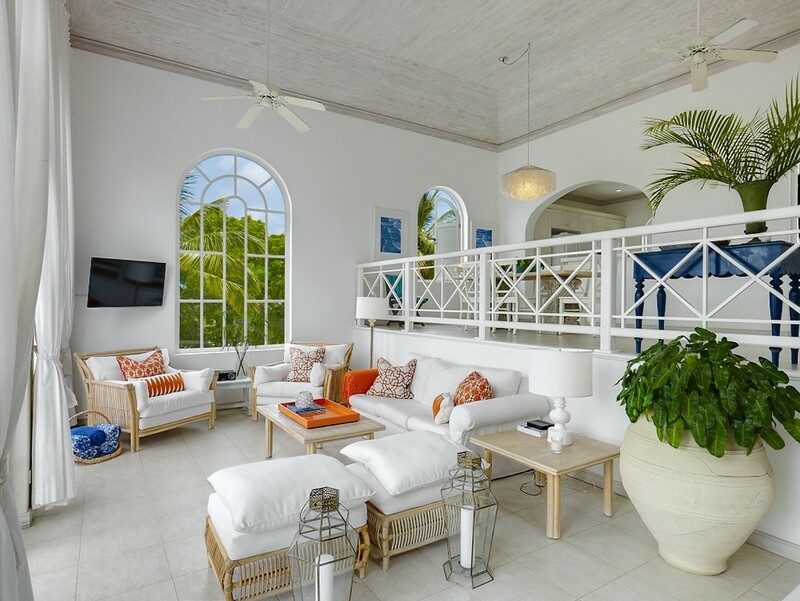 This villa also has a private garden off of the kitchen and provides you with an open-air dining spot ideal for morning coffee or late night cocktails. 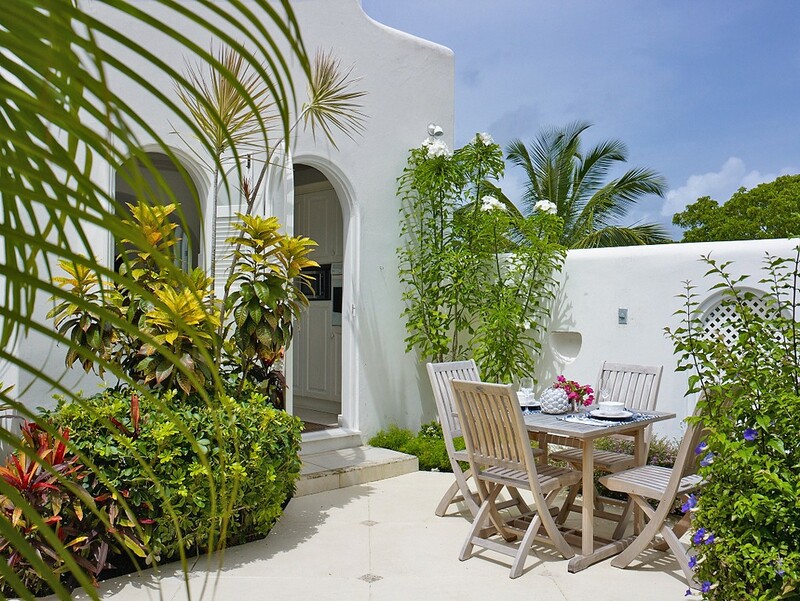 Beautiful gardens line your little courtyard, and you may never want to stray far from its lovely and sheltered spaces. 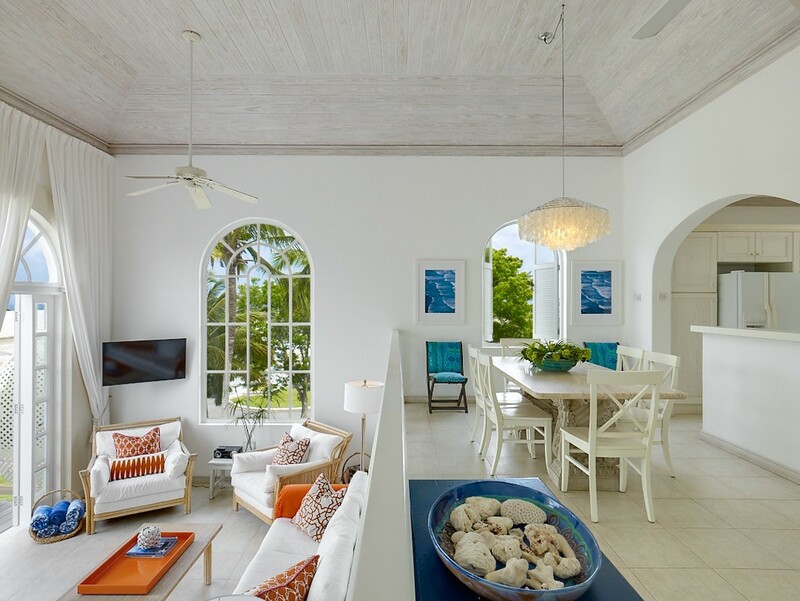 Of course, just off of your terrace is the sunken living, decorated in a bold palette of white with pops of blue and orange. Oversized furniture and an entertainment system make this a hotspot as well. Just a few steps up and you are at the dining area just off the kitchen. 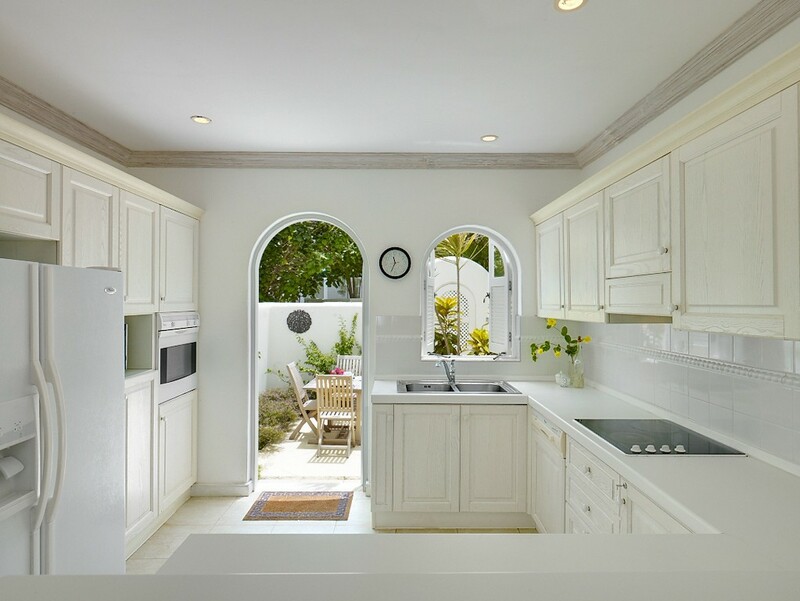 Fitted with the latest appliances, the kitchen is a gourmet's dream. 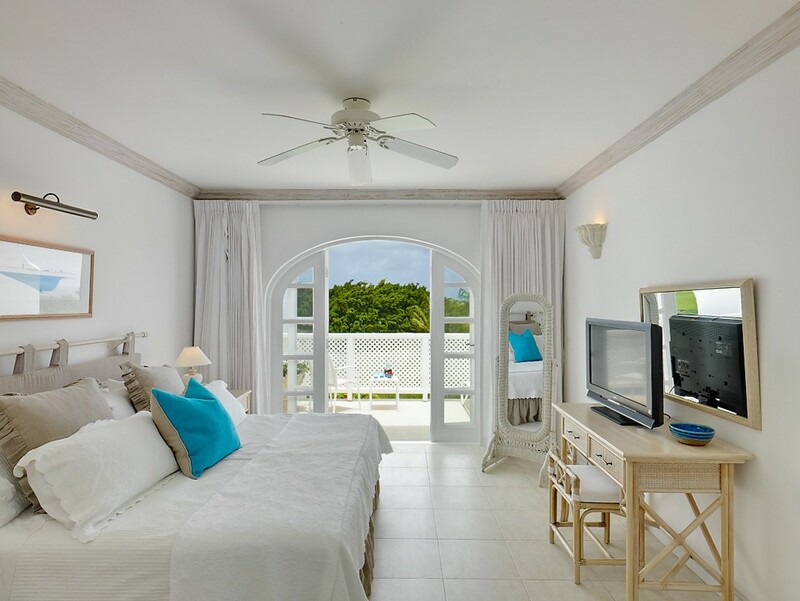 The bedrooms are also a dream and feature king beds, en suite baths, and premium furnishings. 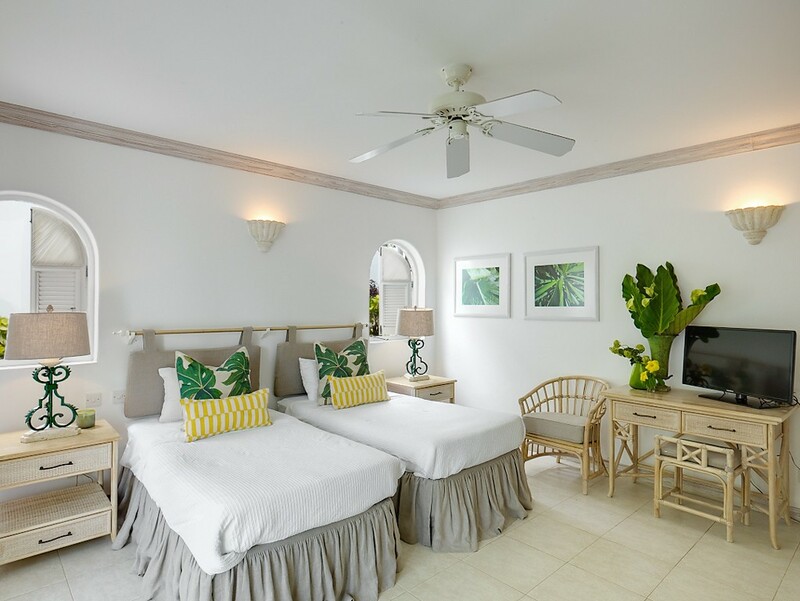 The master suite has the sitting room that is just steps from the pool and the remaining bedrooms are decorated with the same eye for style. 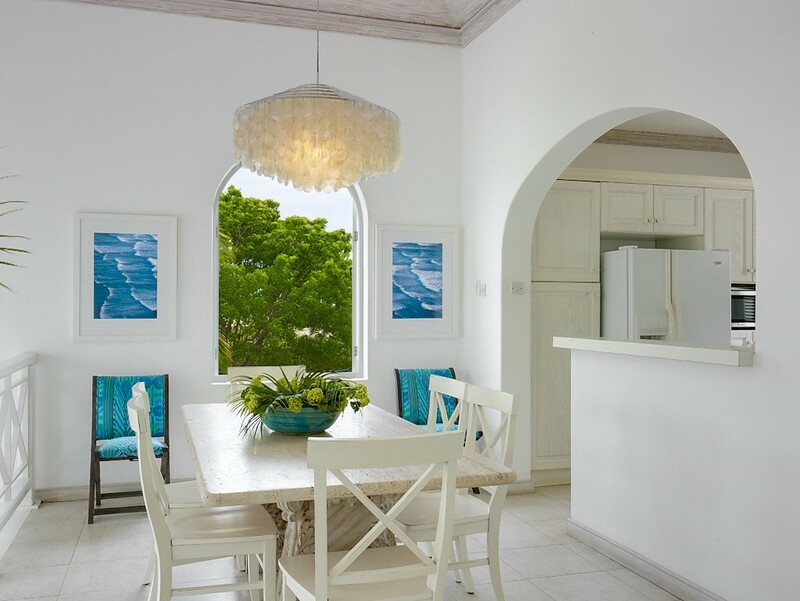 Villa Cassia Heights 24 is an amazing find and the ideal escape for a family or group of friends. Bedroom 1: First floor Master bedroom with two single beds (can be made up as a king-size bed), A/C, ceiling fan and en-suite bathroom with shower, vanity and WC. 2 guests maximum. Bedroom 2: First floor bedroom with two single beds (can be made up as a king-size bed), A/C, ceiling fan and en-suite bathroom with shower, vanity and WC. 2 guests maximum.